I work with businesses that often use projects we create together as work products for clients of their own. Whether it’s association management companies or planning firms, clients who have their own clients find well-designed output ascribes a higher value to their work. 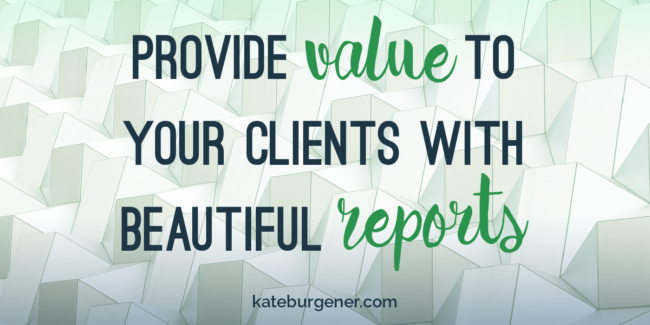 The first thing that a beautiful report can do when you pass it on to your client is make them feel like they’ve gotten really high-value work from you. Time and care to frame your smart ideas and careful analysis with good design is a signifier that you believe in the end product. Larger firms prioritize this sort of work, so if you are a smaller firm without a designer on staff, contracting this out can help you compete with the big companies. Besides just being shiny and pretty, good document design improves the product and gives your client a better user experience. Design elements can highlight important thoughts, guide your reader through, provide wayfinding, and create beautiful visualizations of your data or figures. Well-designed reports and documents help an audience grasp the main points of your work quickly before settling in to comb through the fine details. Again, adding this element of wayfinding and experience allows you to charge a premium for your work, because the end product is more useful to your client. Often the audience for your documents may not be as well versed in the technical aspects of your work. This difference between knowledge levels can require a bit of hand-holding to make sure they grasp the concepts and analysis you’re providing. While such guidance should also be present in the writing of your content, design can go a long way towards increasing a reader’s understanding of what you’re trying to convey. Increased organizational hierarchy, highlighting pertinent information, and explanatory sidebars can help a project have increased buy-in. Often the client is not the last person who will see your work. Your reports may be passed on to boards, government agencies, or the public, and having a great design can make the documents more exciting to read. Take advantage of this broader platform by leveraging design that makes the project a joy to peruse and increases the likelihood that it will be spread further. Design will help parties who are less knowledgeable on the subject matter better understand the work and captivate their interest for longer. Take a look at the work products you’re currently producing for your clients. 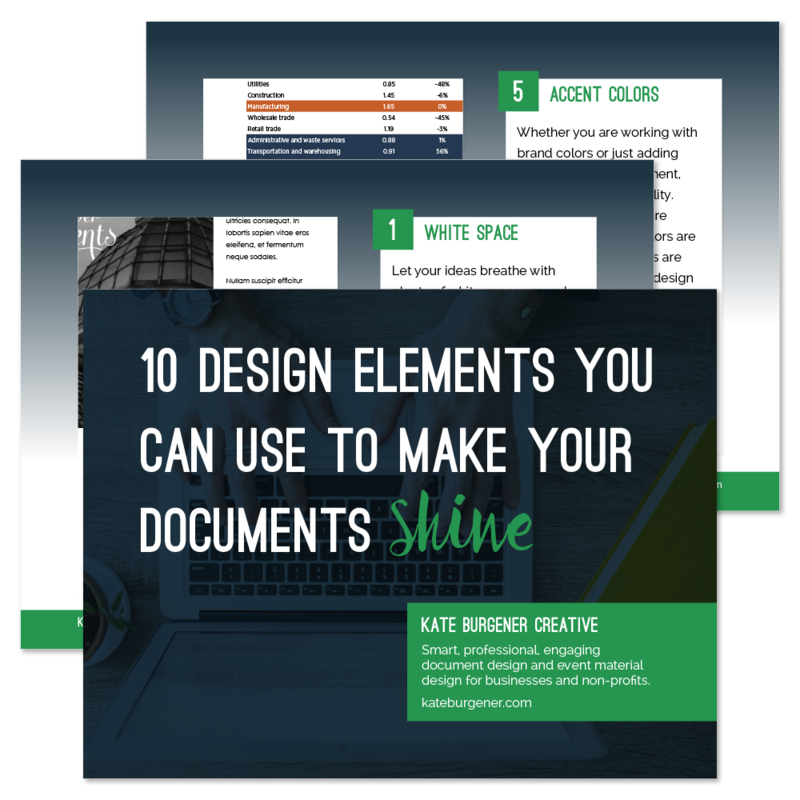 If they’re not exciting to page through, don’t reinforce your ideas, and make the experience easier for the reader to navigate, it might be time to shake things up with some professional document design.